Something similar to this, which we see all the time. It’s nice, it’s beautiful, it’s stately – it basically tells everyone that I have gone through hell and back. Except. You can’t do that. That is correct – you cannot put a logo like that on your website. 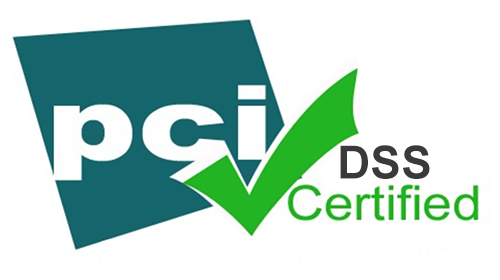 Doing so will get you in trouble with the PCI-SSC, it’s basically infringing their copyright of their logo and they disallow it. Here is an article we wrote a while back that talks about this. You can see they have proudly displayed the Level 1 Service Provider logo of PCI-DSS ‘Compliant’ along with the nice and thoroughly aggrandizing ‘tick’ and an altogether unnecessary picture of a lock at the bottom. The only problem is that this logo is not endorsed by PCI-SSC and was probably created by their summer intern. So we asked politely to PCI-SSC, why are you allowing AWS to use it and not our client? Is it because a certain Jeff Bezos is the most powerful man in the internet? They are not allowed to use that logo. Unfortunately, we cannot police the entire internet, so we contact these firms as we learn of the logo use. You are correct in your understanding of the article. We encourage you to refer your clients to this article when they question you. And let them know we will be contacting this firm to have this logo removed. Wow. That’s nice. The largest cloud provider in the entire known universe uses that logo and you cannot police it. This generally means, they don’t do any policing. At All. I like the fact that they refer Amazon as ‘this firm’ as if AWS is some useless junk company in the outer fringes of Elbonia. I like that. It’s powerful. So what happened? PCI-SSC like a chihuahua took on a T-rex and guess what? The T-Rex changed. 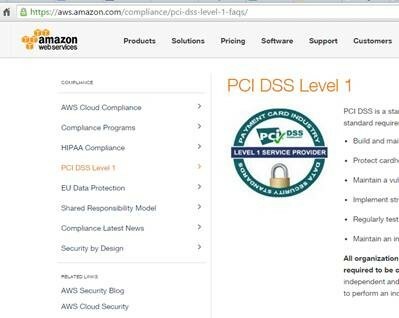 You can see now that the ugly ticked lock, illegal, summer intern designed logo is gone, replaced by another PCI logo. This time, this is a logo they can actually use because they are registered as a ‘participating organisation’. But nowhere in the logo does it state they are Level 1 certified Service provider. We like to think, in our small and narrow mind, that we, an unknown security firm in the fringes of Malaysia AKA Elbonia to most of the world – made the mighty AWS change something on their website. 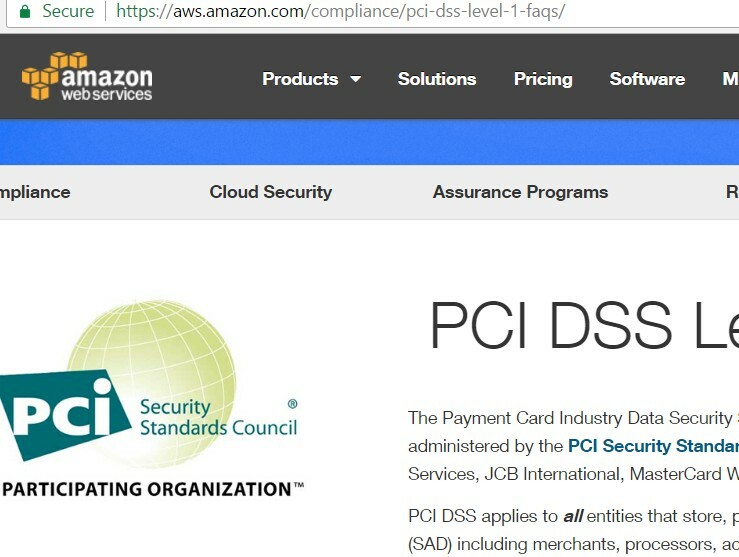 This entry was posted in IT Compliance, IT Security, PCI-DSS, PKF Avant Edge and tagged aws, pci-dss logo usage, pcissc by pkfavantedge. Bookmark the permalink.